HCEOC’s mission is to reduce, mitigate and alleviate poverty in the County of Hawaii. Our goal is to enable low-income individuals to become self sufficient. 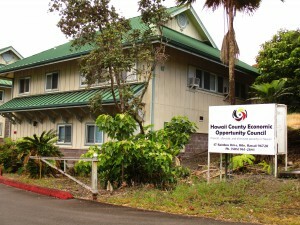 Hawaii County Economic Opportunity Council is located at 47 Rainbow Drive in Hilo, Hawai’i. We are a 501c(3) non-profit organization. Funding for our programs come from a variety of County of Hawaii, State of Hawaii, and Federal sources, including the Older Americans Act. HCEOC offers various programs and services throughout the island, please browse through our website to see the various programs and services we offer. To help us achieve our mission and goal either financially or by volunteering, please call 961-2681, ext 400. We look forward to hearing from you!! George was our organization’s heart and soul for over 40 years leading this organization for many of those years as the Executive Director. George helped serve the low-income population of this community to become more self-sufficient by teaching valuable life skills to thousands. In George’s career at HCEOC he is credited with bringing in over $1,000,000 in grant funding to the County of Hawaii. 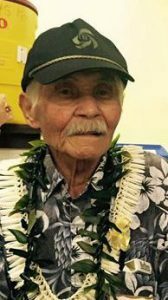 In September 2016 George was honored the key to the city by then Mayor Billy Kenoi. George wrote and published a book in 2015 called “Memoir of a War on Poverty in Paradise”. 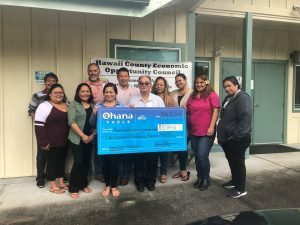 “George’s memory and dedication to alleviating the symptoms of poverty will continue to be an inspiration behind the success of HCEOC” says Executive Director Jay Kimura. The Public Utilities Commission issued Decision and Order No. 34467 approving the Companies’ proposed Special Medical Needs Pilot Program (Transmittal No. 17-01). The program shall take effect from April 1, 2017, with a sunset date of March 31, 2019 and will be available to the first 2,000 eligible customers. The summary sheet for SMNPP (Special Medical Needs Rate Pilot Program) contains the eligibility requirements and contact information for HECOC companies.